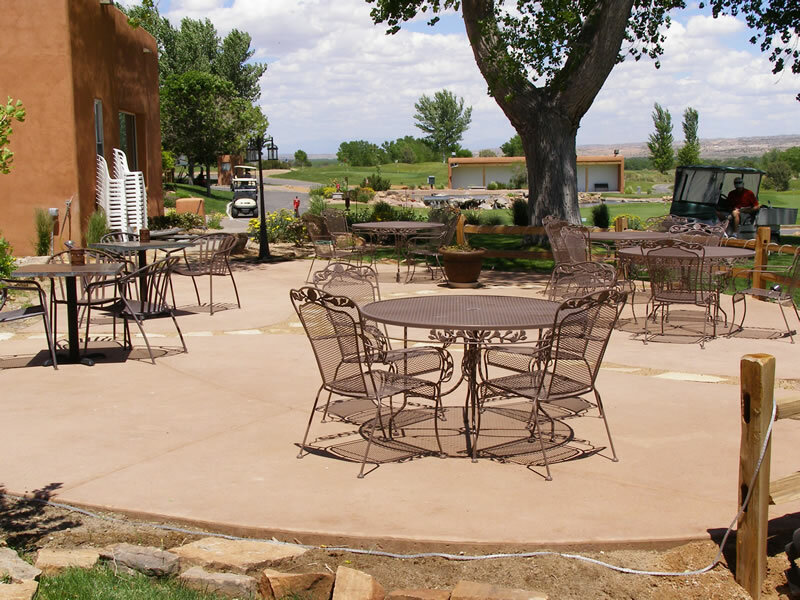 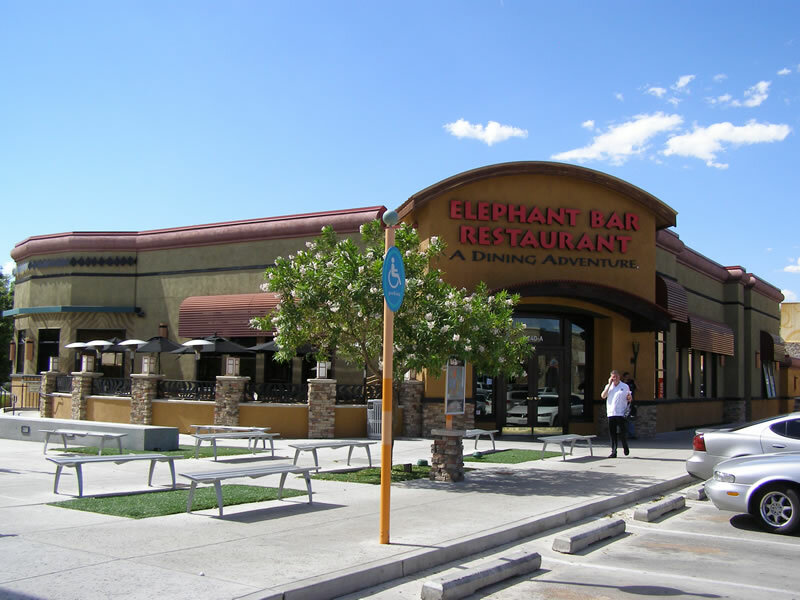 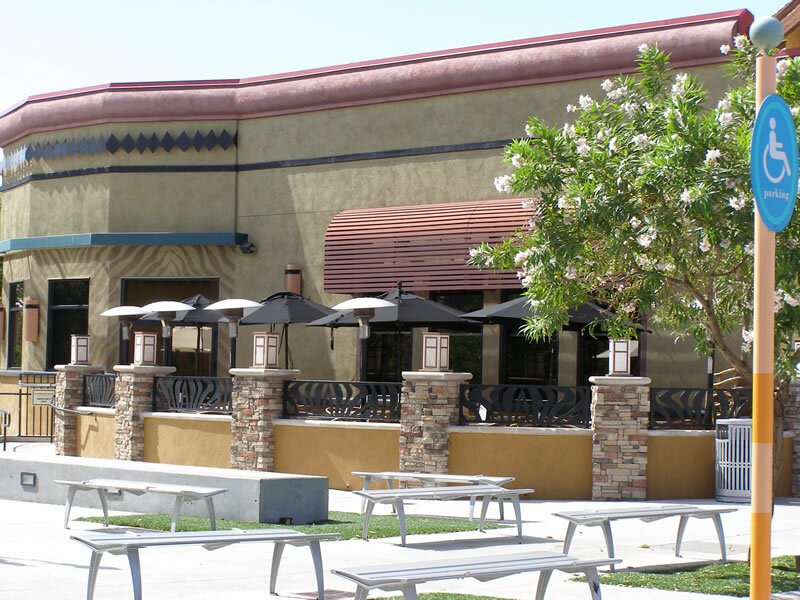 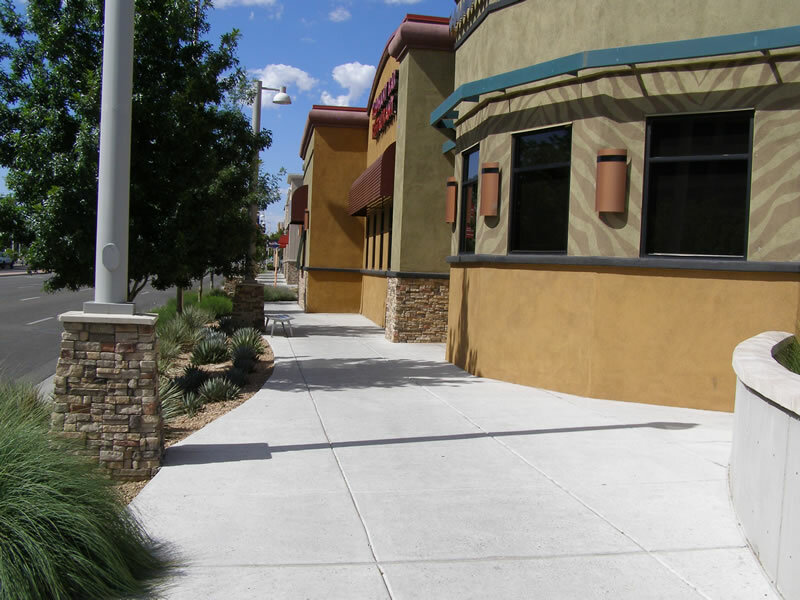 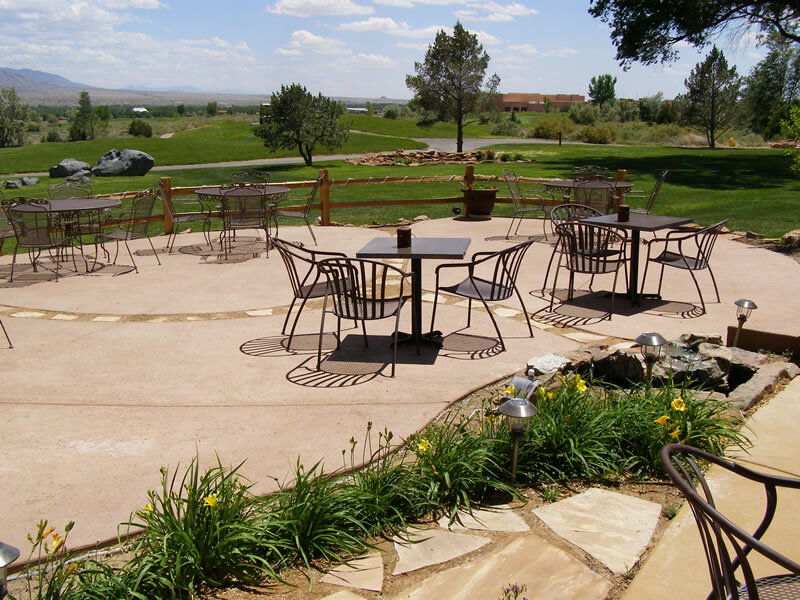 This project included a 9,000 square foot restaurant with a decorative concrete outdoor eating area and salt finish sidewalks. 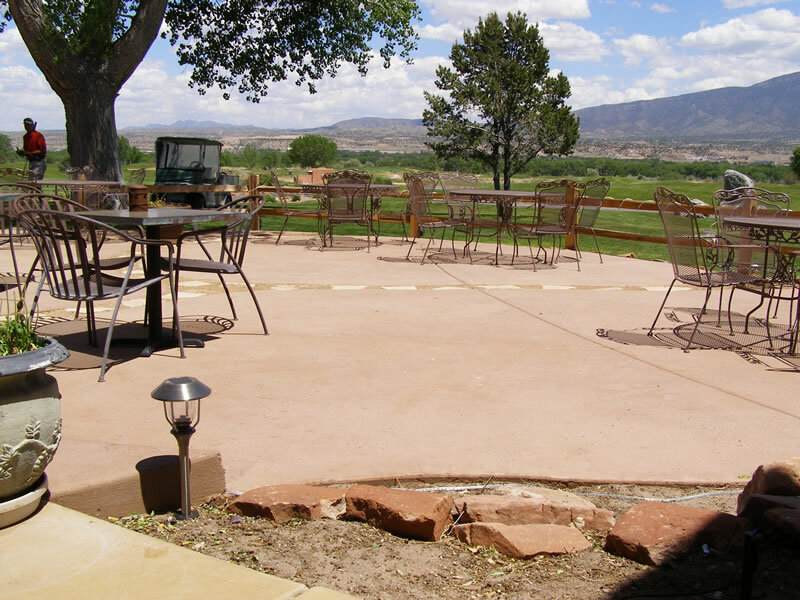 Click on any image for slide showenlargement. 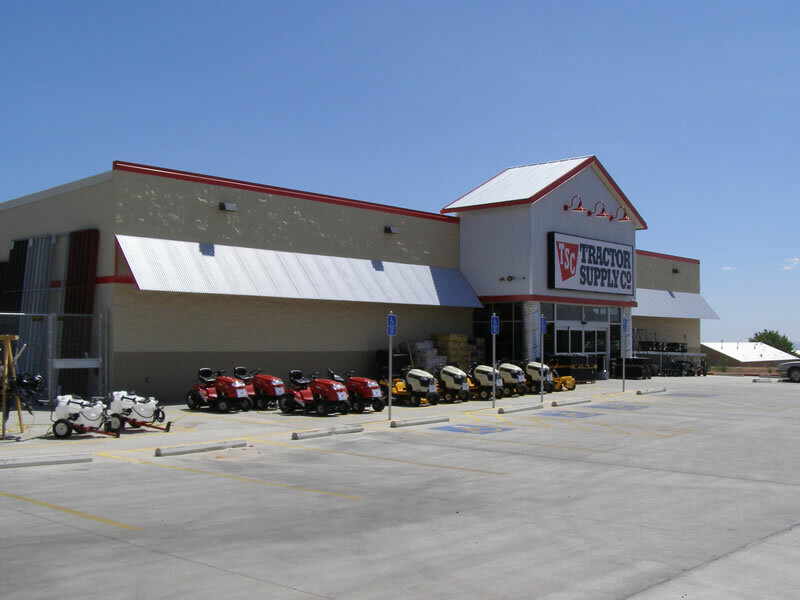 This job includes a 28,000 square foot super market & two lease spaces. 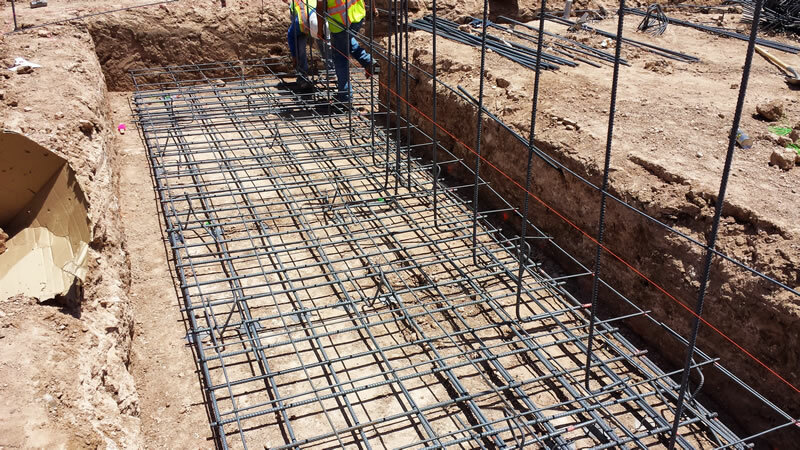 The slab was built 8” thick with a double mat of rebar. 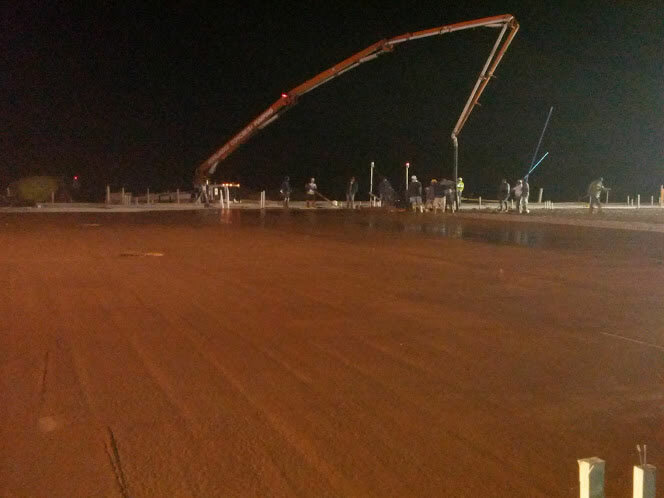 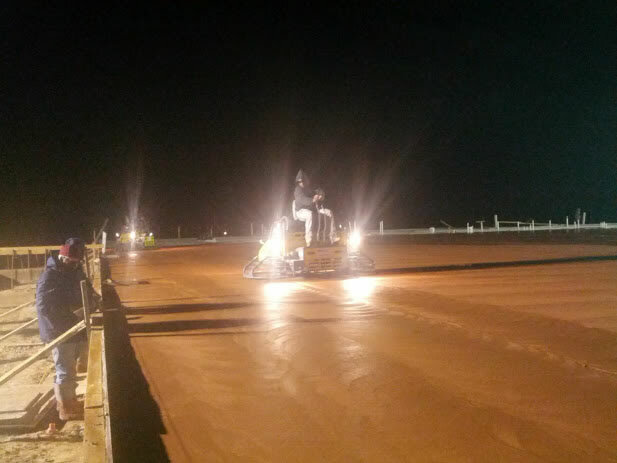 The slab was poured using an integral colored concrete and with a burnished finish. 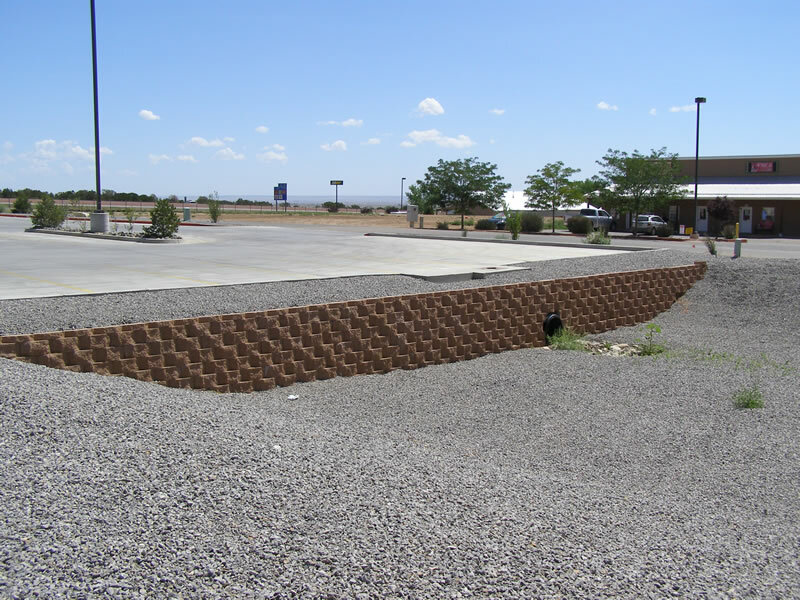 The supermarket also included 8' high retaining walls and a loading dock for deliveries. 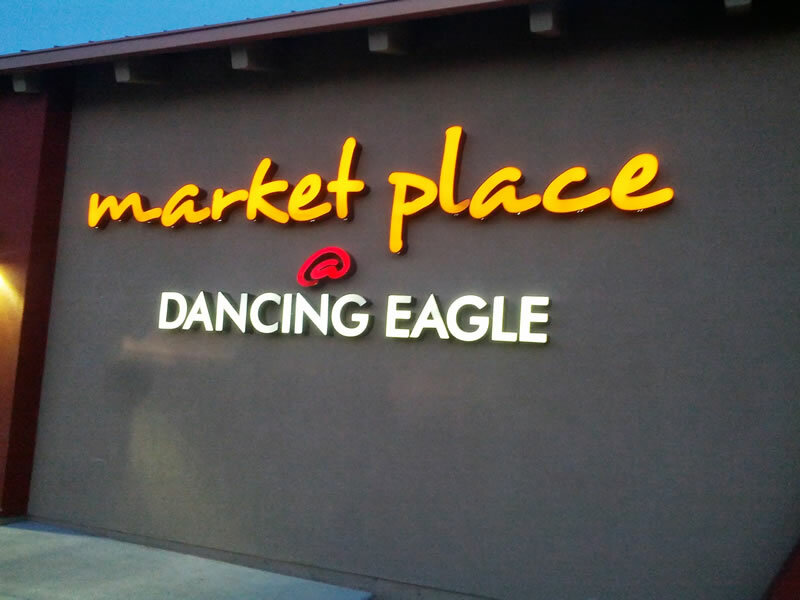 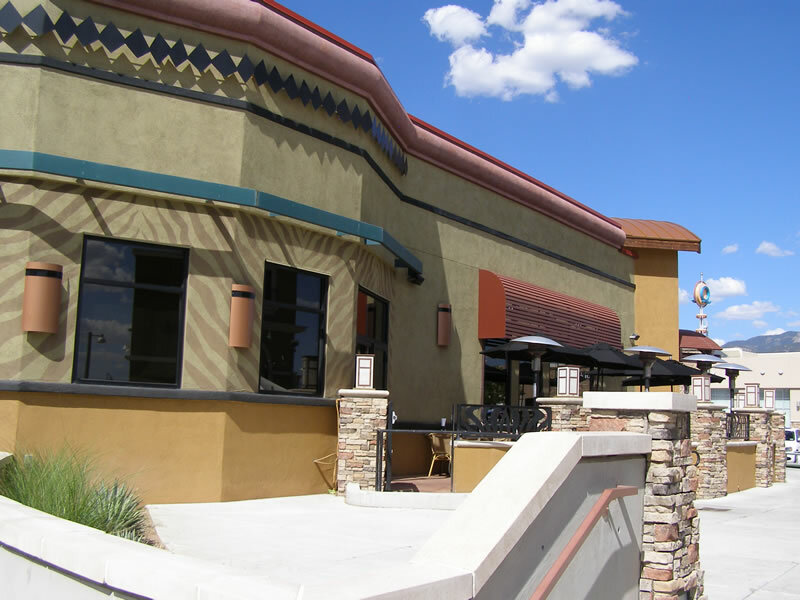 We have completed several TSC stores all across New Mexico. 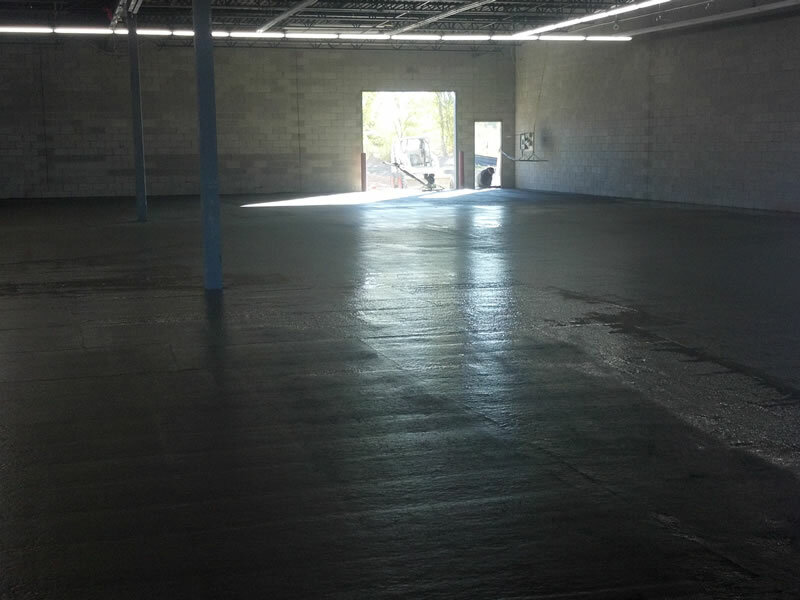 These projects all include a 20,000 square foot masonry building with a floating slab. 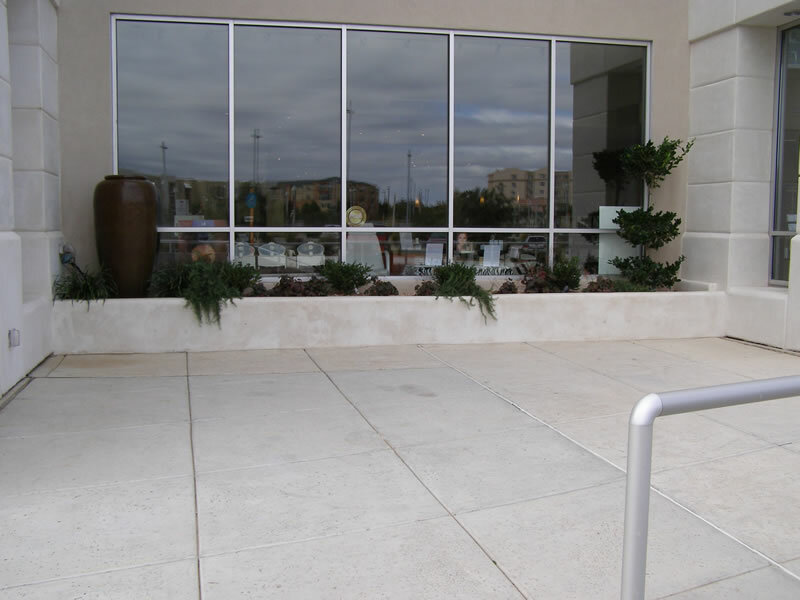 Great care is taken on these projects to provide the customer an extremely flat and mirror like floor. 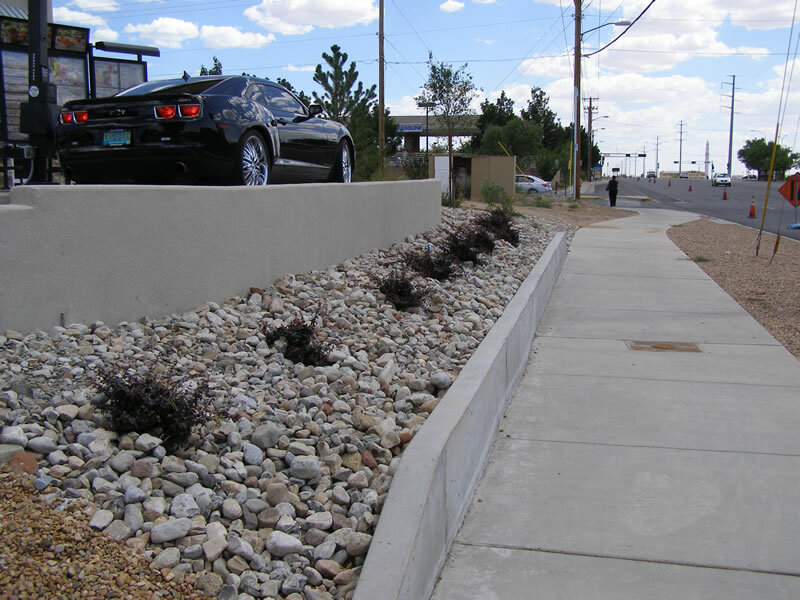 These projects also include concrete parking lots, retaining walls, and curb and gutter. 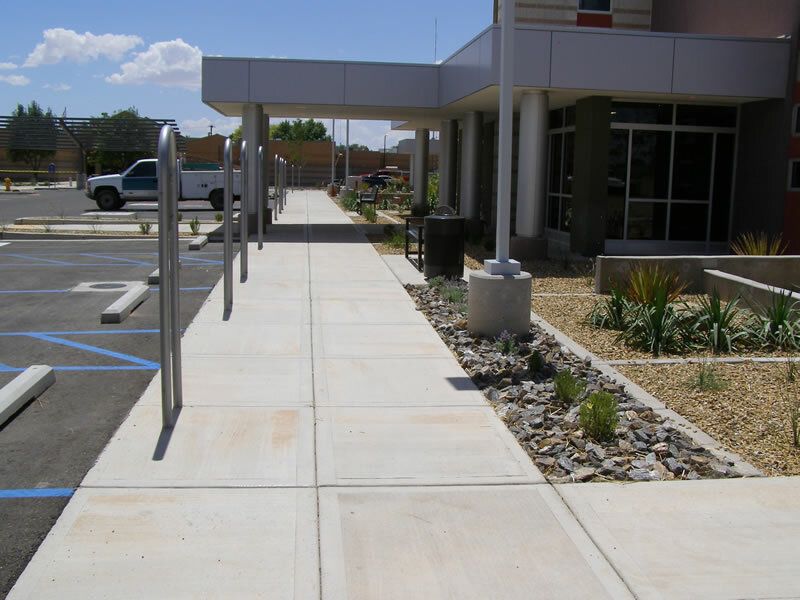 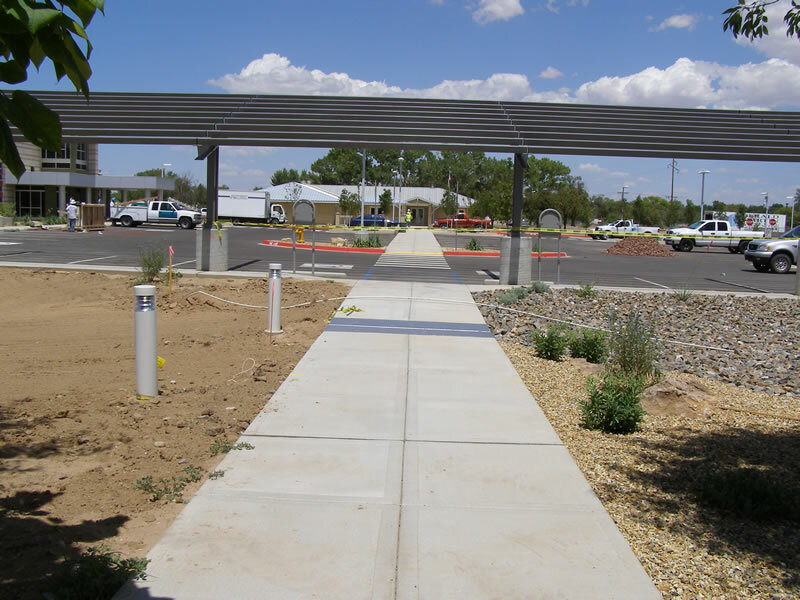 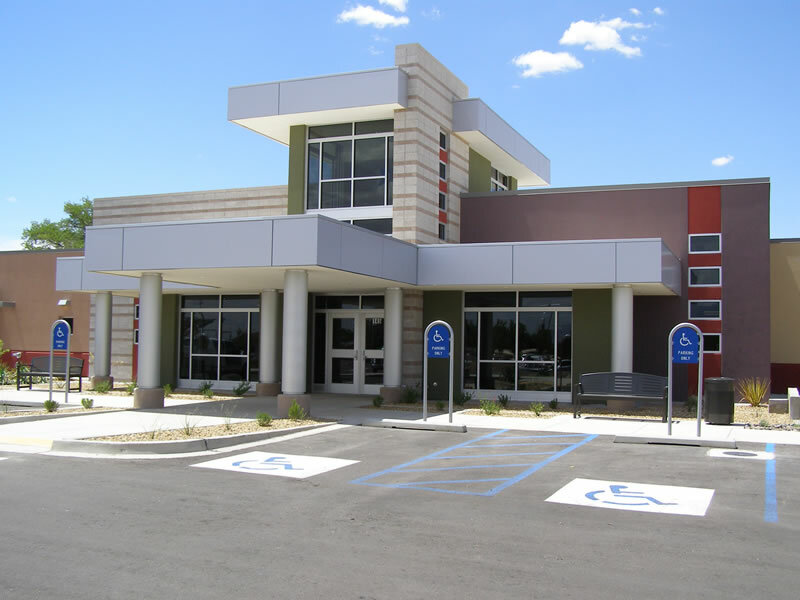 This project included a 22,000 square foot medical facility, a solar panel canopy structure, associated landscape curb, picture frame textured sidewalks, and curb & gutter. 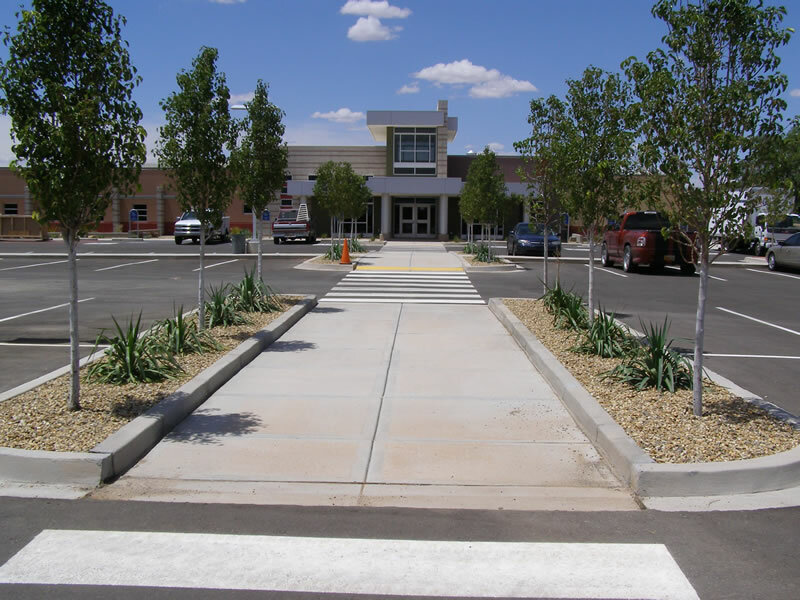 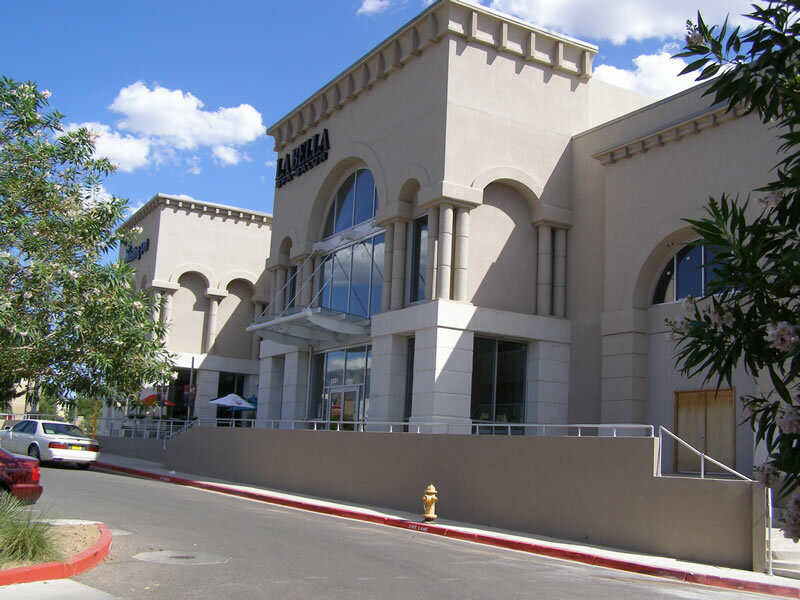 This project included a 55,000 square masonry building. 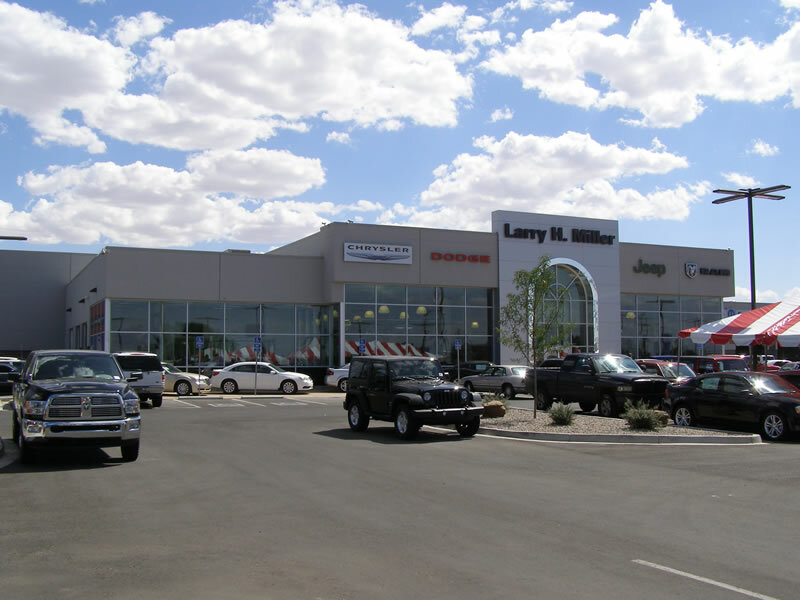 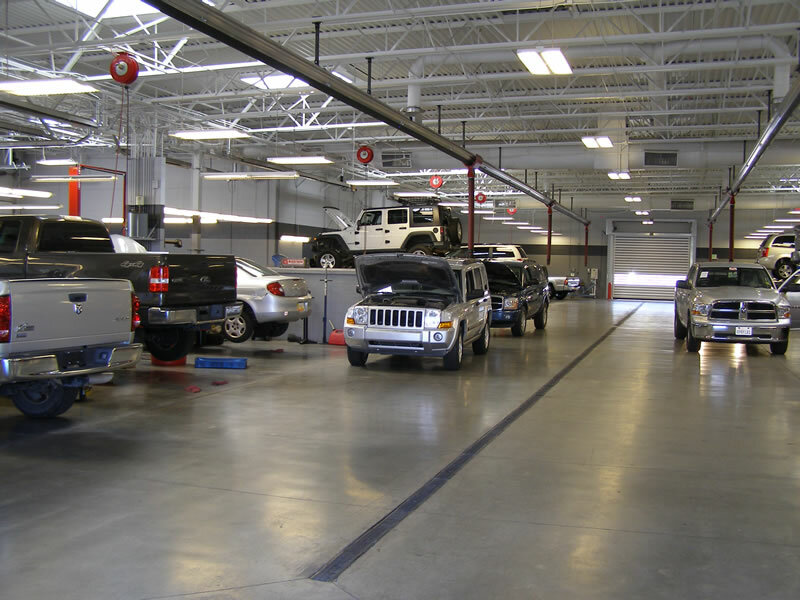 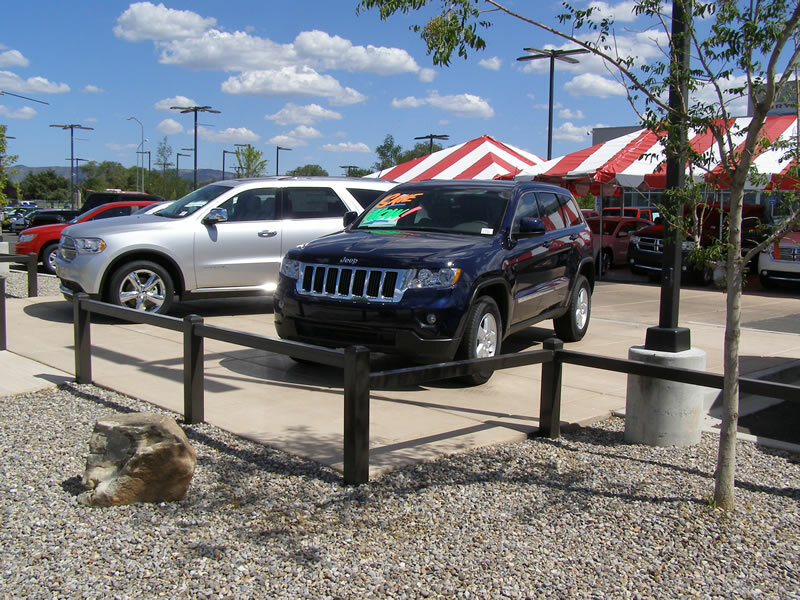 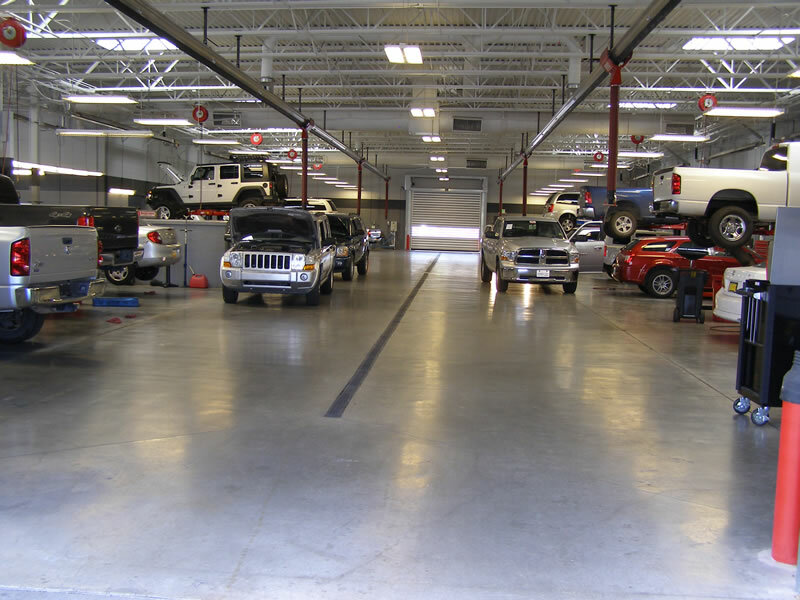 The building consisted of a showroom, maintenance shop with roughly 30 underground vehicle lifts, a car wash, and an elevated concrete deck for parts storage. 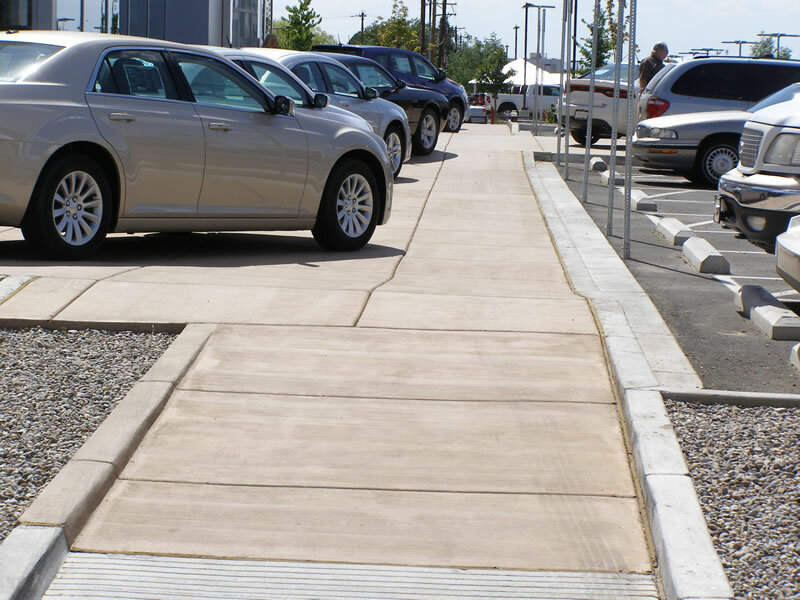 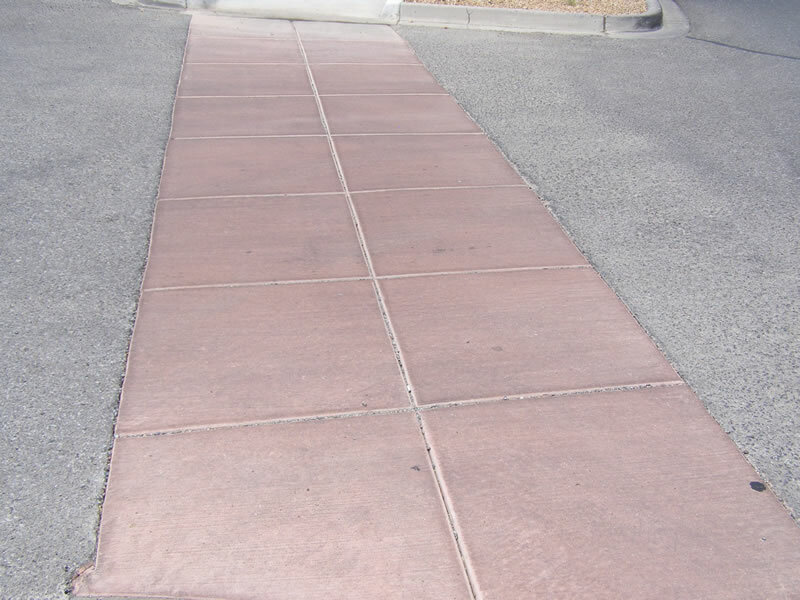 The project also included two vehicle sales lots which required over 4 acres of associated paving, sidewalks, curb, and decorative colored concrete. 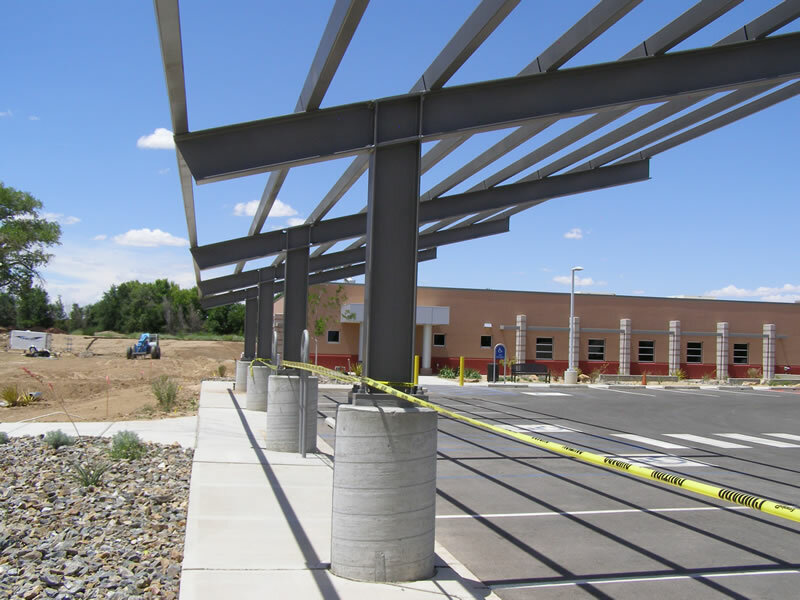 This project included a 25,000 square foot two story building with a concrete mezzanine and associate site concrete. 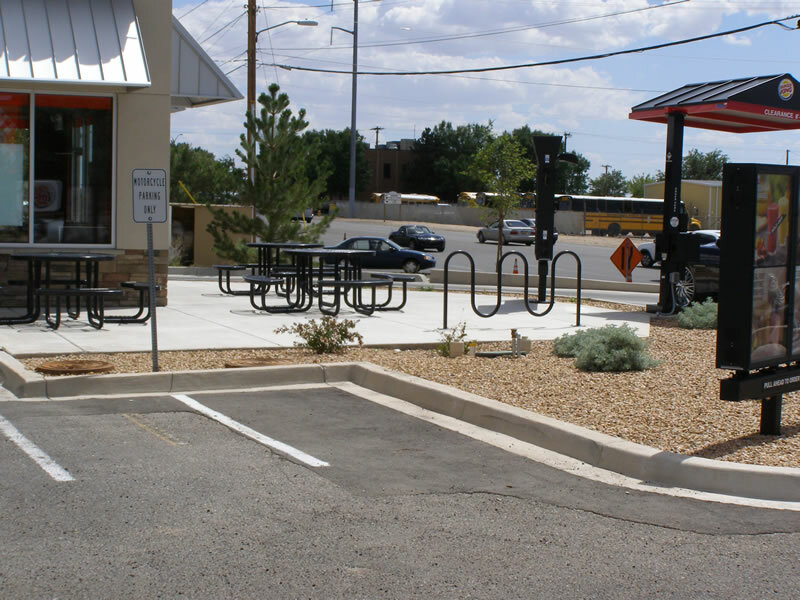 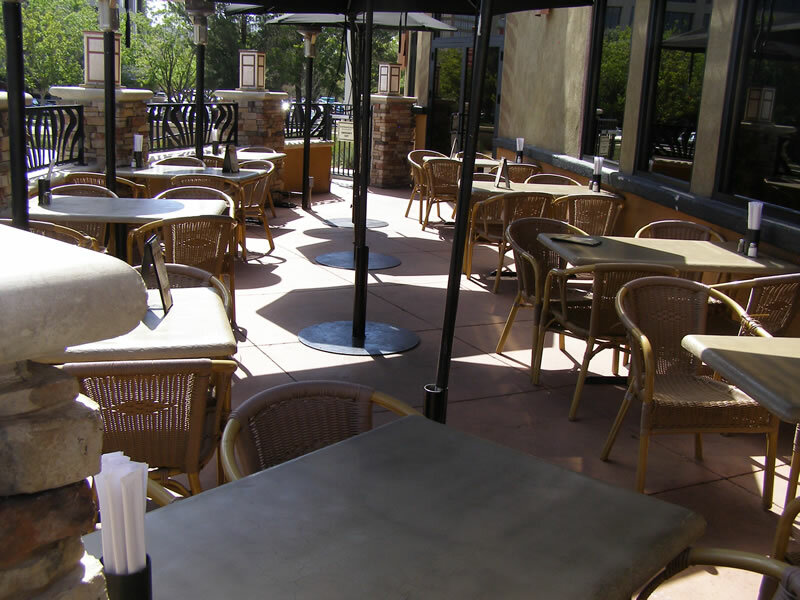 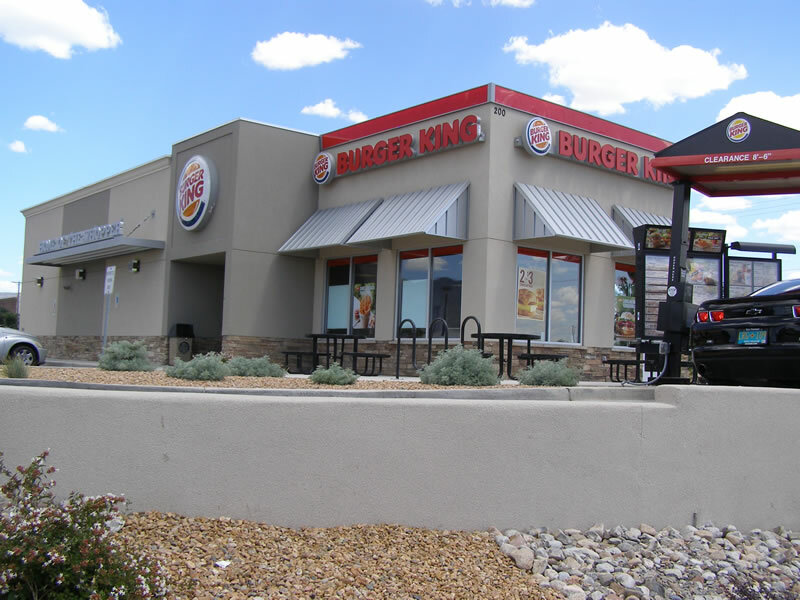 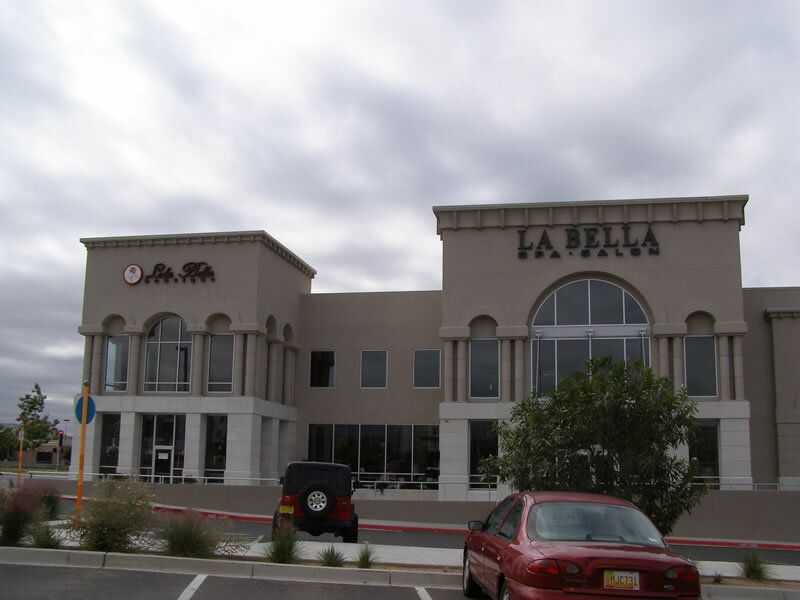 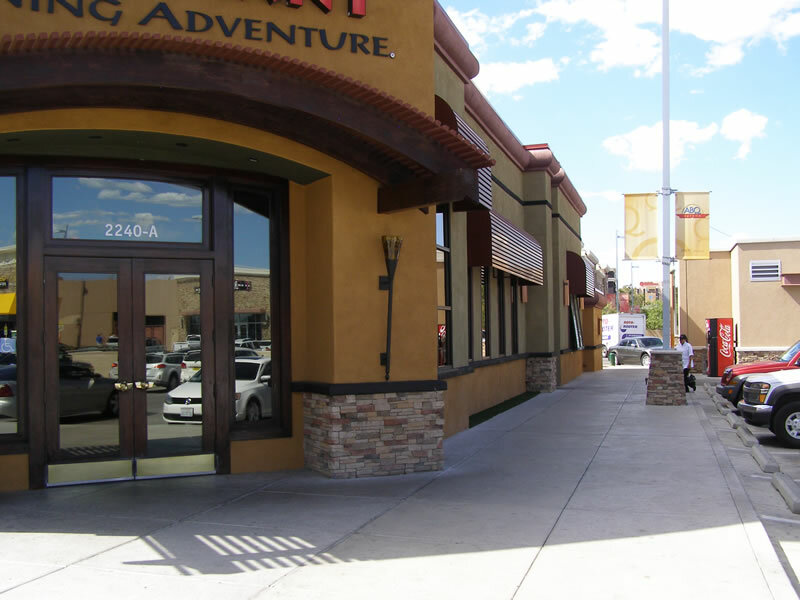 We have built several BK Restaurants throughout Albuquerque and Santa Fe. 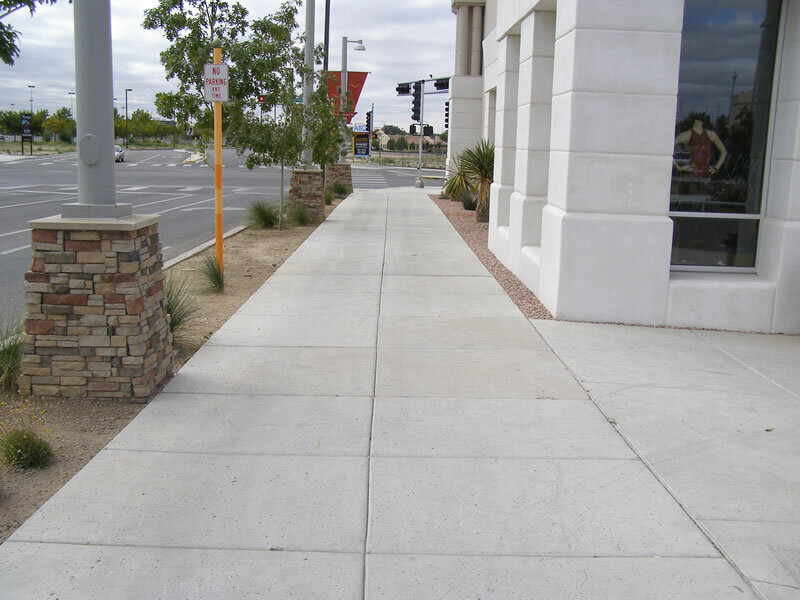 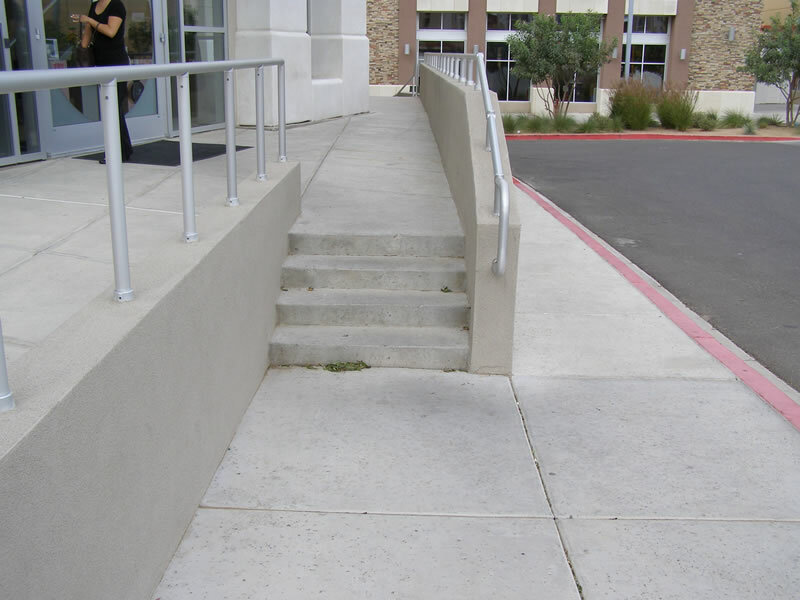 Each location includes a 2,500 square foot foundation, sidewalks, concrete drive-thru, & curb & gutter. 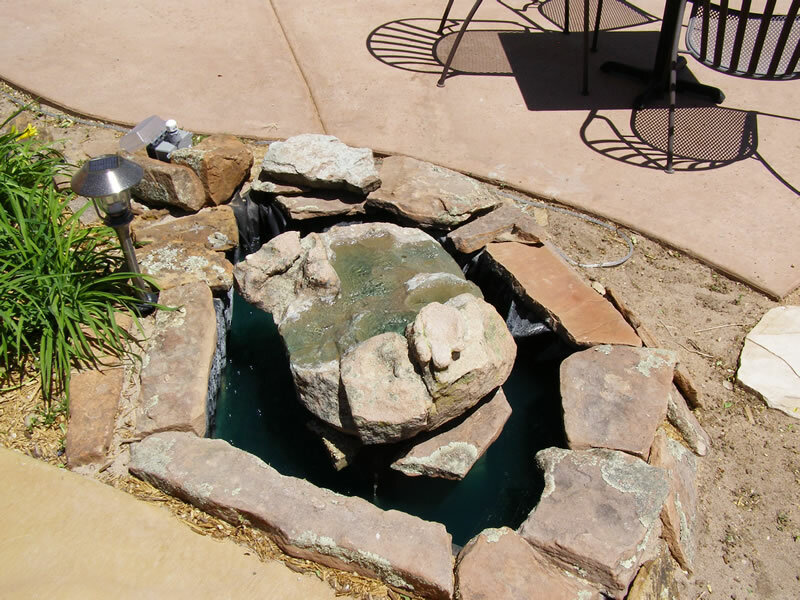 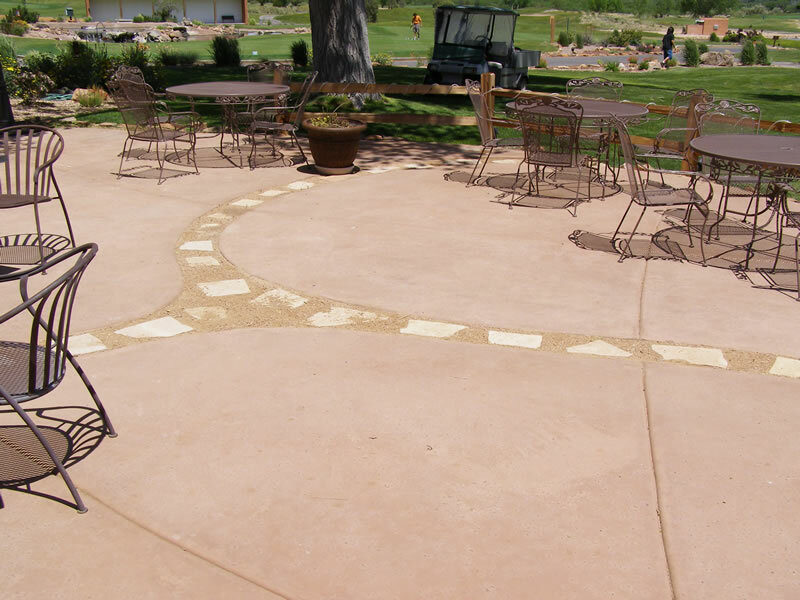 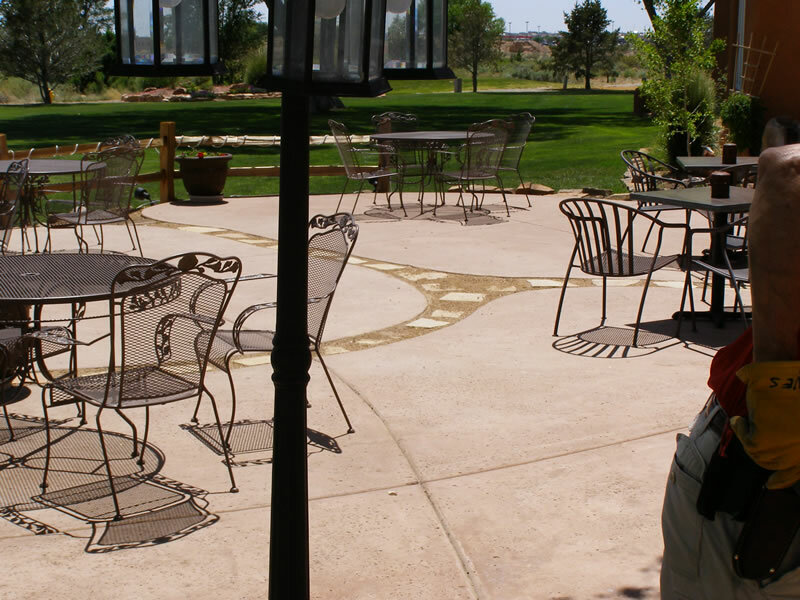 This project included decorative colored concrete with a salt finish and water feature. 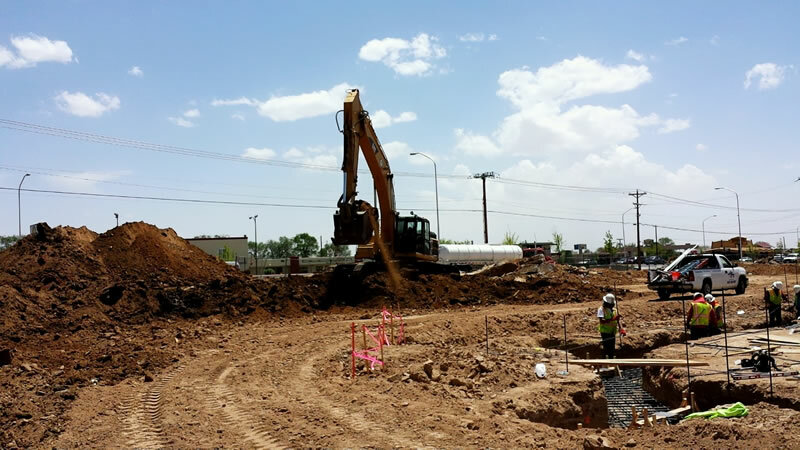 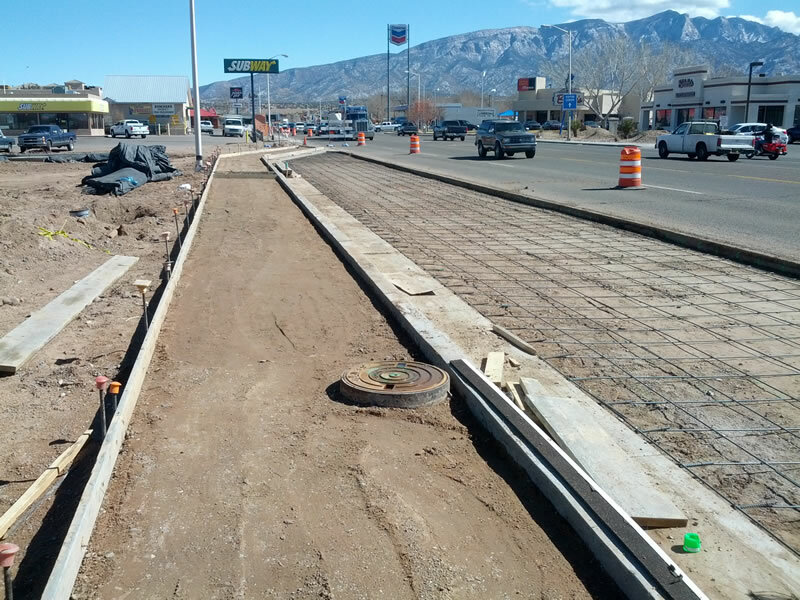 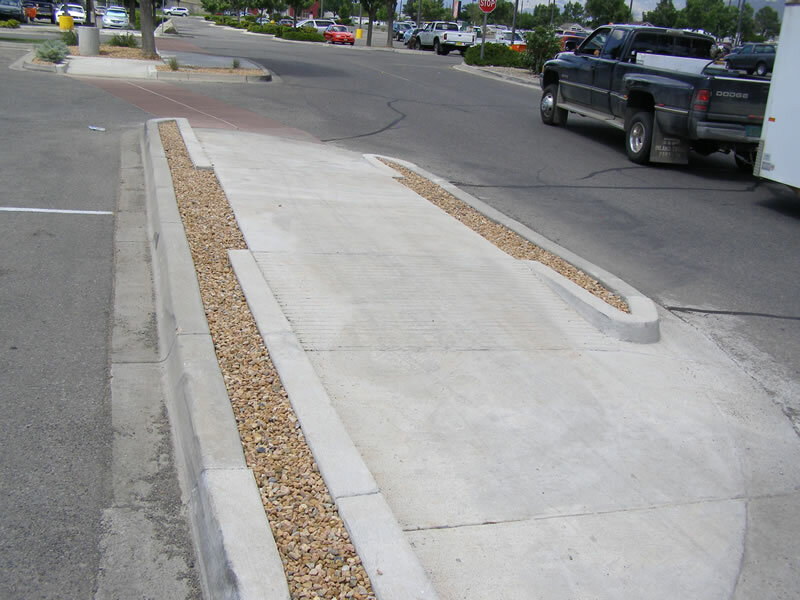 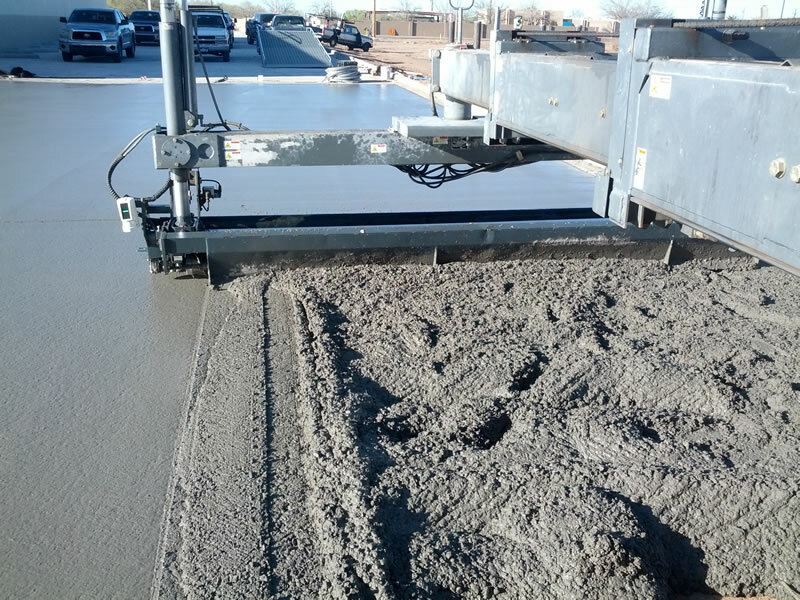 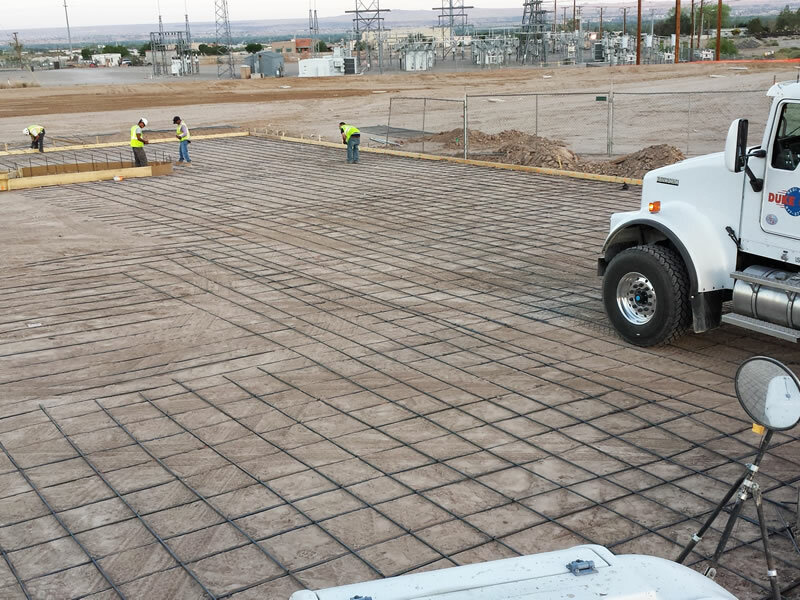 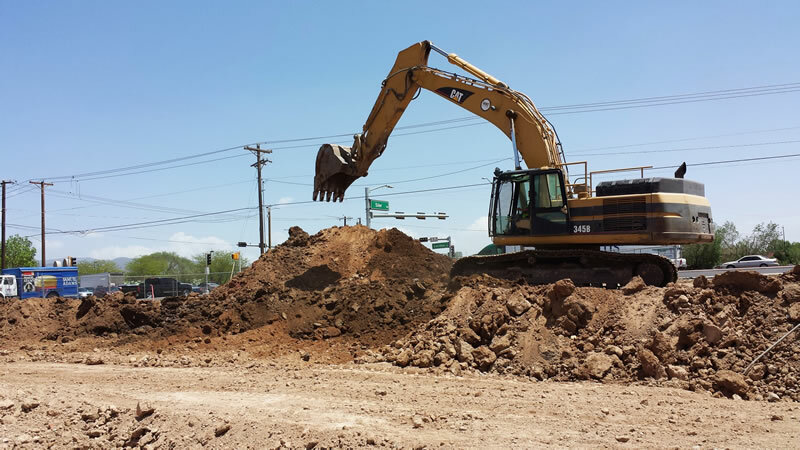 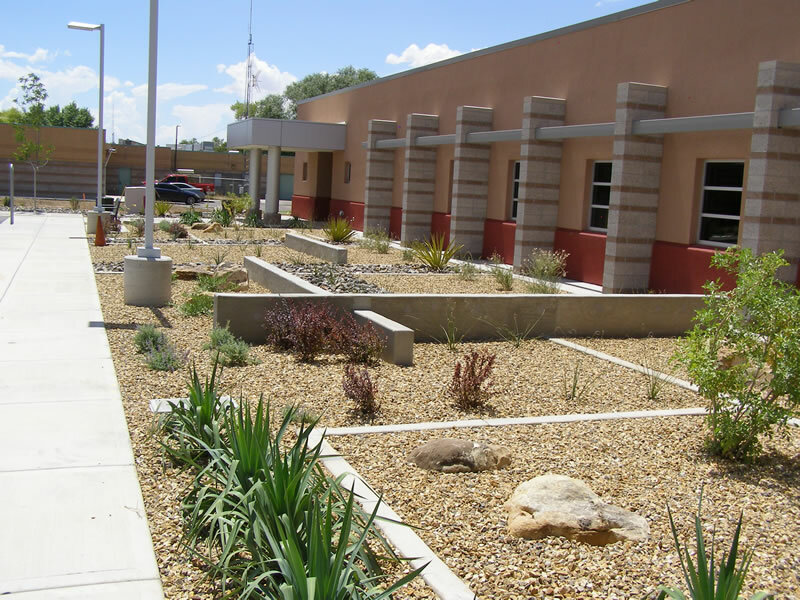 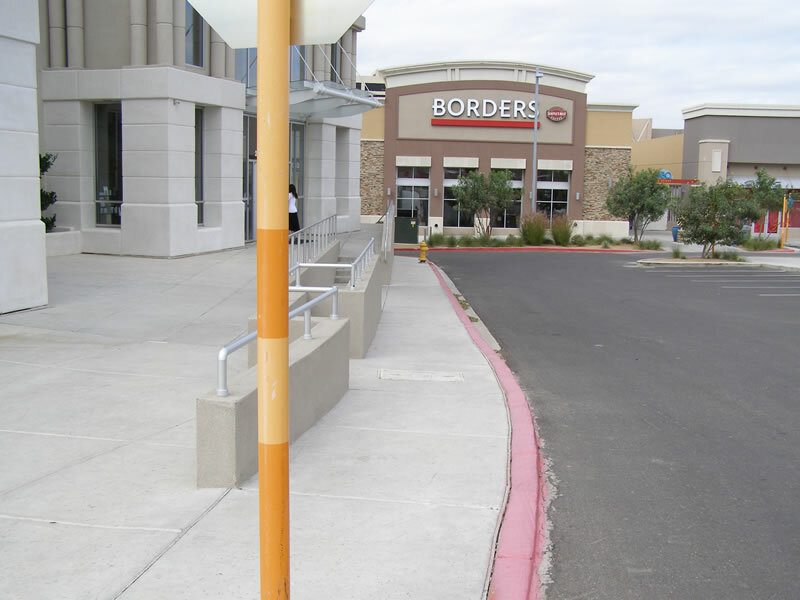 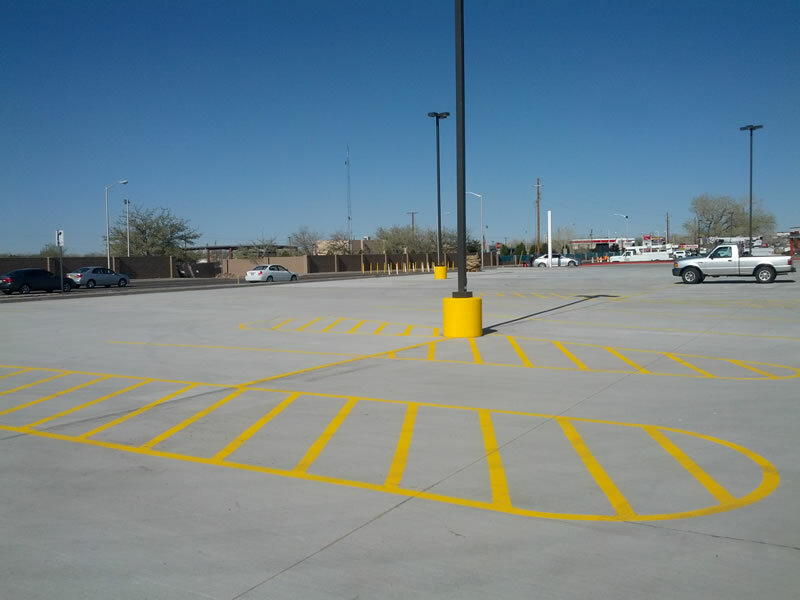 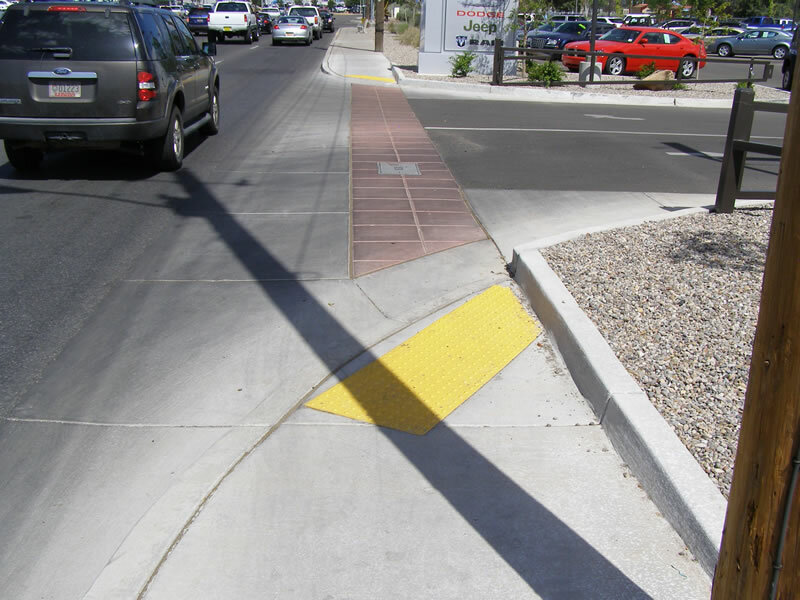 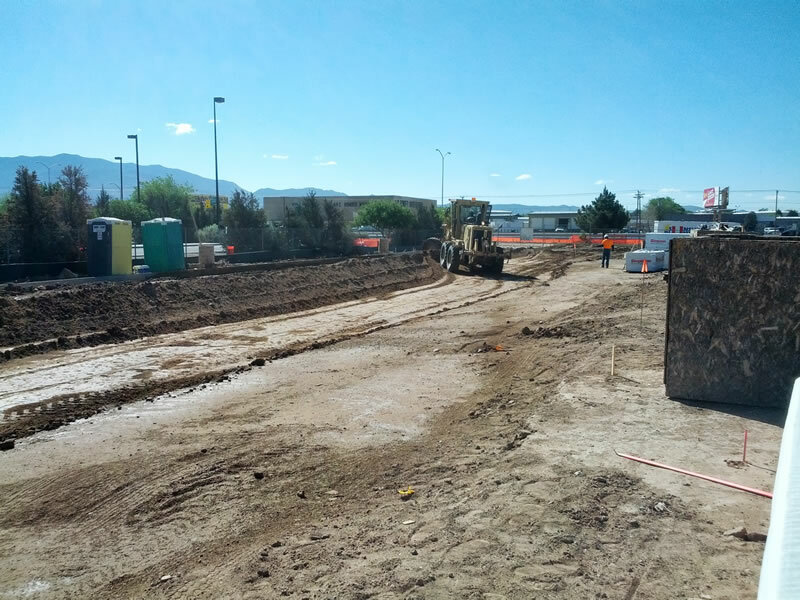 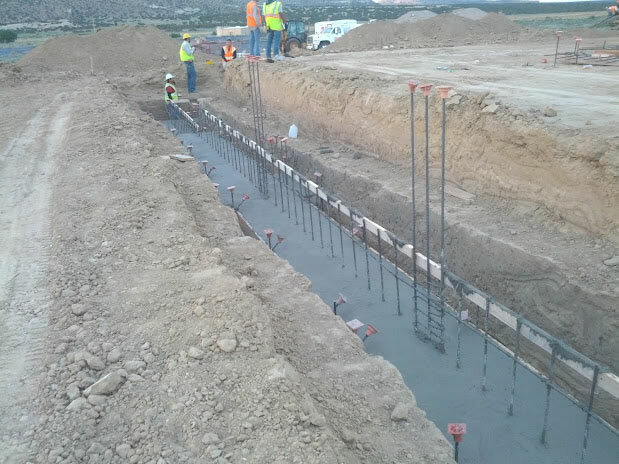 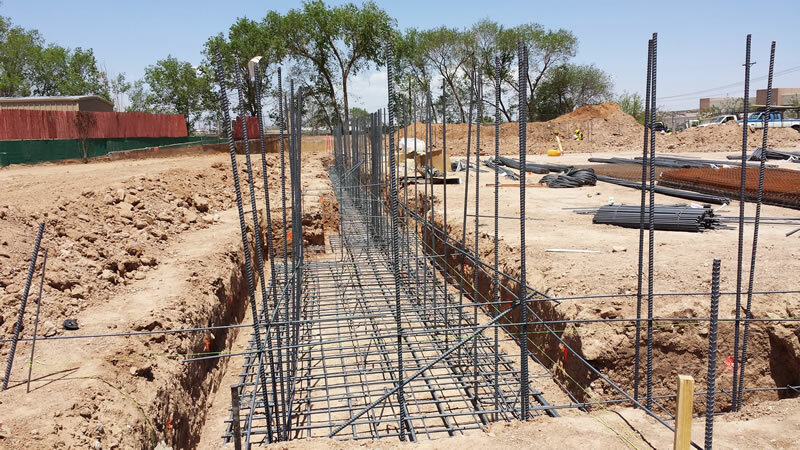 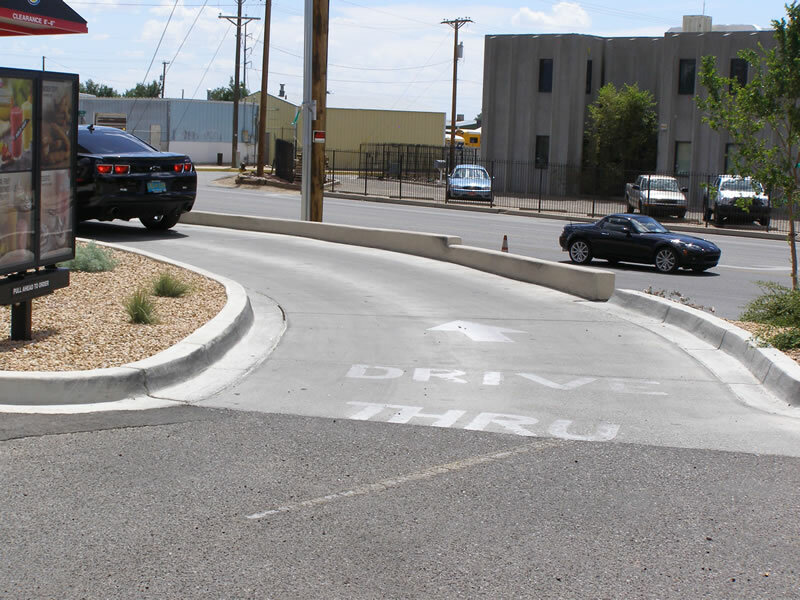 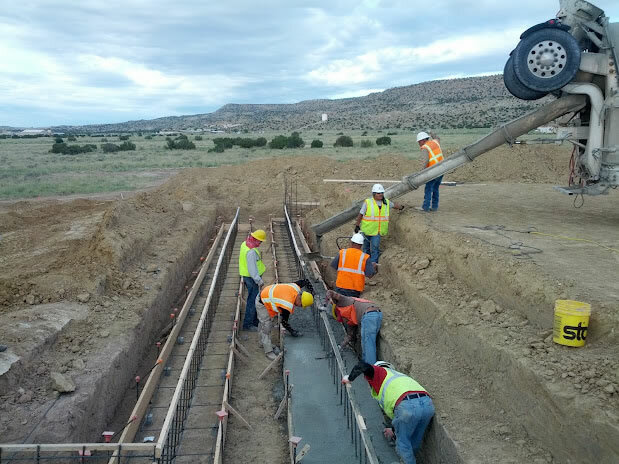 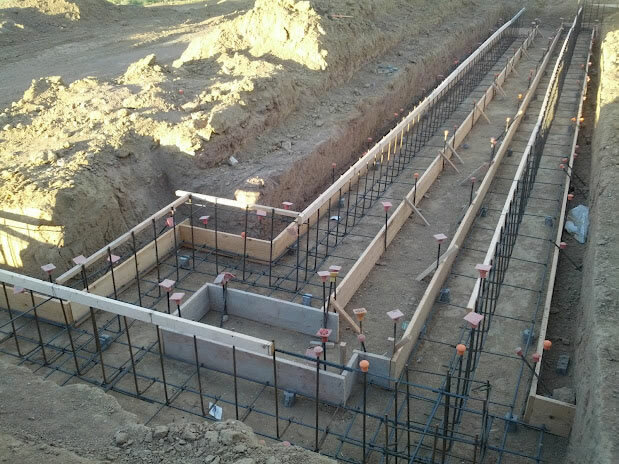 This project includes a 72,000 square foot concrete parking lot, NM DOT curb & gutter, and NM DOT side walk. 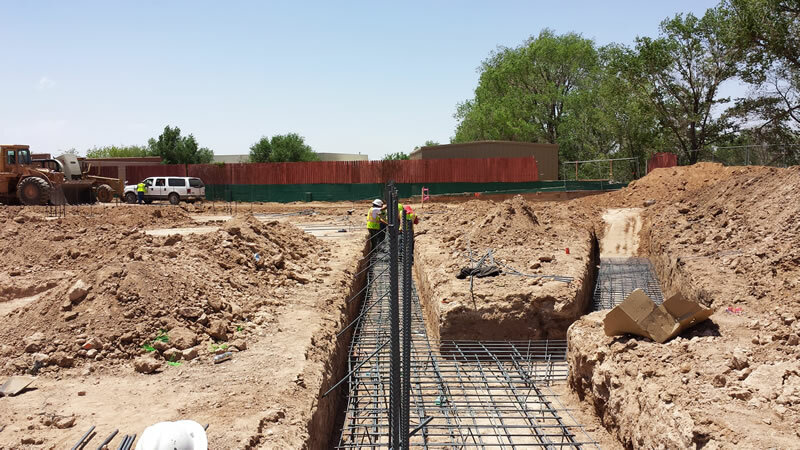 This job includes 14,500 square foot masonry building with associated site work.